British Guiana (BG) has produced many heroes, but their songs are yet to be sung. These heroes are actually in the process of being forgotten even by the organizations they founded and to which they had given the best years of their lives. Who remembers Muhammad Ayube Edun, founder President of the Man Power Citizens Association (MPCA) [This union, registered in 1937, provided, for the first time, organised leadership for the sugar workers, but its popularity did not grow until after the Leonora sugar workers’ strike in 1939. There was a steady flow of sugar workers into its ranks, and by 1943 it became the largest trade union with more than 20,000 members], Cramat McDoom, Moulvi Muhammad Ahmad-Nasir, Abdool Majeed (President of Sadr Anjuman), Akbar Khan (founder President of GMYO), Hiye Hack (Sadr), or Sheik Muhammad Shakoor? What plausible excuses can be offered to explain why present day leaders have not in a meaningful way acknowledged and paid their respects to the men and women who made significant contributions to the Guyanese society? Maybe the leaders and organizations see no significance in singing songs praising these heroes and the impact such songs will have on the population. In the American society, the names and pictures of men and women decorate the walls of colleges, museums, halls of fame, corridors and board rooms of hospitals and businesses; avenues, ships and buildings bear their names, e.g., JFK Airport, NY. The American people are proud of their heroes and have accorded them a place in history. The time has come for the Caribbean community to recognize their heroes and give them a page in our history. One of the heroes of the Muslim community is Hajji Sheik Muhammad Shakoor. His involvement in Islamic work spanned five decades. He had a very humble beginning being born on a sugar plantation, Uitvlugt. He is the youngest of three brothers, Moulvi Abdool Jabar (Imam of Leonora Masjid 1950-1966), Moulvi Muhammad Farouk (Imam of Vreed- en-hoop). His father, Moulvi Ilahi Baksh, was the first Imam of the Uitvlugt Masjid (founded in 1909). The Masjid was built east of the ranges (logies) and on the side-line-dam south of the railway line. Hajji Shakoor and his two brothers were educated by their father in the reading of Quran Arabic, Urdu, Farsi and study of Islamic Fiqh. They received their early education at DeWillem Primary School. His leadership skills and organizational qualities were recognized by Muhammad Ayube Edun (MPCA) who hired him while he was employed as a clerk in the office of plantation Uitvlugt. Within the MPCA, he rose to the rank of General Secretary and proved his capabilities during the numerous industrial disputes. As a trade unionist, he met and debated with some of the most influential and powerful people in Guyana. Among them were the Governor, civil servants, politicians, businessmen, religious leaders, as well as visiting dignitaries of the British Empire. His dedication, achievements, and performance caused him to be honored with an MBE by Queen Elizabeth II. In the performance of his duties and involvement in Muslim affairs, he displayed keen intellect, sound judgment, and a sharp wit. In his active days, he exhibited a pleasant disposition, was easy to get along with, and very exact in what he did. 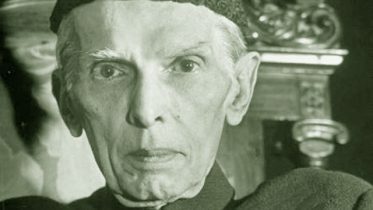 In the height of his career and despite the power he exercised, he maintained his simplicity and a close connection with the Muslim community. Hajji Shakoor experienced a very active and eventful youthful life. He rubbed shoulders with H .B. & R. B. Gajraj, Judge Akbar Khan, Cramat McDoom, Moulvi Muhammad Ahmad Nasir, Moulvi Nasir Ahmad Khan, and other prominent Muslims in the community. Having moved to the city, he played an active role in the Ruimveldt Masjid. He was a founder member of the Literary Society which gave birth to the main leaders of all the organizations formed between 1934 and 1950. To this society belonged the presidents of the Islamic Society, Jamiatul Ulama E- Deen, Sadr Anjuman, Muslim League, Muslim Youth Organization, and United Sadr Islamic Anjuman of B. G. The Literary Society later changed its name and became the Muslim Youth Organization and shifted its headquarters to Woolford Ave., Thomas lands. In the 1950’s, the political climate in British Guiana was changing. Hajj Shakoor did not secure reappointment as GS of the MPCA, but this was not a setback. It was move in a different and better direction. He was easily approved as a housing inspector of the Sugar Industry Labor Welfare Fund (SILWF). The MPCA had been successful in securing $1000 interest free loan from the SILWF for each sugar worker to build a home in the nuclear housing schemes. ($1000 was a lot of money in the 1950s.) His job took him on countless trips from Tuschen, EBE to Skeldon, Corentyne, Berbice where the sugar workers were building their homes in nuclear housing schemes. His new job expanded his knowledge of the Muslim community and allowed him to make new and closer contacts with Muslims in the different Masjids. He was respected for the manner in which he executed his duties, and his name became established in the Muslim community. He succeeded Judge Akbar Khan as president of the MYO and served in that capacity for twelve years. It was while he was president that he was granted an opportunity through the commonwealth youth program to visit India. Based on his experience and standing in the society, he was able to secure for the MYO the land it now occupies on Woolford Ave., Georgetown. He was the lone surviving trustee of the GMYO but has since handed over all rights to the new trustees of the MYO. Upon the election of Abdool Majeed as president of the United Sadr Islamic Anjuman, Hajji Shakoor was his natural choice for the position of General Secretary. Hajji Shakoor and Abdool Majeed were not returned to office in a controversial election in 1962. 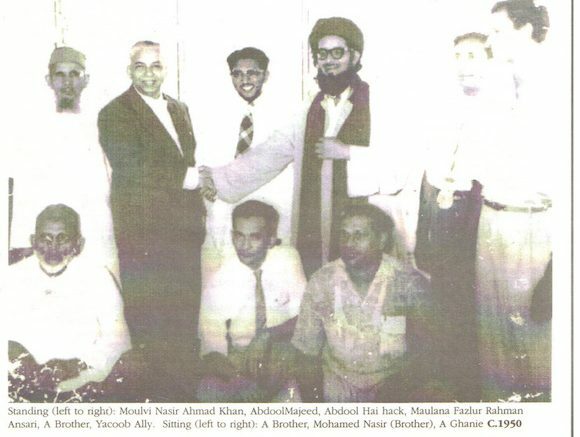 Hajji Shakoor’s role extended as he became the Secretary General of the Islamic Missionaries Guild of the Caribbean and South America (IMG) which was founded by Moulana Fazlur Rahman Ansari (ra). The IMG was intended to be an arm of the Sadr, and for a while it functioned in that capacity. During this period and when Abdool Majeed was president of the USIA, the Muslim Trust College was formed (1960). He and Hajji Shakoor served on the board of directors. Within the Islamic field, and although it was not for long time, Hajii Shakoor made his greatest contribution in the formation of the CIOG. He had all the ingredients to make its formation a possibility. He had the trust and confidence of the leaders and general population of the Jamaats from Essequibo to Berbice. His was a household name. He had access to leaders and was able to advise the “Group of Concerned Brothers” on the strategies to be used and where the meetings should be held, e. g., Petershall Masjid, East Bank Demerara (just after the Demerara Harbor Bridge). Upon the formation of the CIOG, he was appointed General Secretary, and later succeeded Moulvi Ayube Khan as Imam of Petershall Masjid. The CIOG recognized his contributions and gave him an award. So did Masjid Ar-Rahman and the New York Muslim Sports Club. Haji Sheik Muhammad Shakoor now lives in the Bronx with his wife. In speaking with him a few years ago, he had so much to tell of the history and affairs of the Muslims. It was a pleasure to see him once again on Saturday January 1, 2011 and to touch the hand of 100 years. I have never met a person who reached 100 years. It was like looking at living history. Present in his home were his relatives and close friends who came to recite the Quran and make dua for him. May Allah grant him Jannah for his efforts and service to the Muslim community. Celebrating the achievements of the orphans and vulnerable kids. Be the first to comment on "Hajji Sheik Muhammad Shakoor"